The Knights of Columbus Pope John XXIII Council 5430 recently donated $1,000 to benefit the Barber National Institute Girard Campus. The Knights raised the contribution through their annual “Measure Up” Campaign held in the west county. 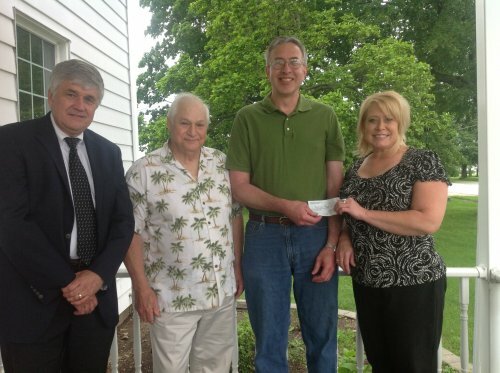 The proceeds will be used to fund a new service provided on the Girard campus for adults with autism that focuses on developing communication, reasoning and socialization skills.